Chronic fatigue syndrome or CFS is the name given to a debilitating disorder characterized by conditions of extreme and lasting fatigue. Chronic fatigue syndrome is also commonly referred to as myalgic encephalomyelitis or ME. The name chronic fatigue can be somewhat confusing since chronic or persistent fatigue is also a symptom of several conditions such as rheumatoid arthritis and lupus. Fatigue is the feeling of exhaustion that results from exertion, lack of sleep and illnesses. However, ordinary fatigue is not extreme or persistent, and the patient generally gets better after getting some rest. Chronic fatigue happens when this sensation of extreme exhaustion and lack of energy persists for over six months. The exact cause of chronic fatigue is not known but it is believed that several factors play a role in its symptoms, such as stress, hormone levels and infection. 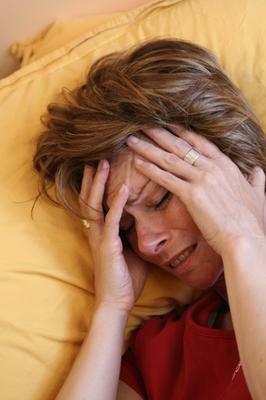 Lack of sleep, insomnia and other sleep disturbances can also result to chronic fatigue. Other factors that contribute to the development of chronic fatigue are poor diet, lack of exercise and certain medications. According to the National Institute of Arthritis and Musculoskeletal and Skin Diseases or NIAMS for a patient to be diagnosed as suffering from chronic fatigue syndrome, he must be having severe chronic fatigue for six months or longer. Diagnosing chronic fatigue syndrome can be quite tricky since there are no physical signs that identify it. There are also no diagnostic laboratory tests that confirm chronic fatigue syndrome. A diagnosis of CFS is given if the symptoms recur for six consecutive months or more and there are no apparent explanations for the fatigue such as disease. However, it should be noted that there are other conditions that overlap and sometimes coexist with CFS and have similar symptoms. A study of patients suffering from CFS revealed that only 38% of the patients were diagnosed solely with the syndrome. The rest had a diagnosis of a number of diseases such as fibromyalgia and multiple chemical sensitivity or both. Doctors are still unsure whether these conditions are direct causes or have common causes with CFS; or whether that have no relationship whatsoever with chronic fatigue syndrome. There is still no known cure for CFS so treatments are aimed at relieving the symptoms and improving the body's functions. To achieve this, doctors usually recommend a combination of medications and non-drug therapies. Lifestyle changes, dietary restrictions, nutritional supplements are also recommended as an addition to drug therapy. Patients who suffer from CFS are also urged to have regular exercise to help reduce the symptoms of chronic fatigue. However, the doctor should carefully supervise physical activity as this can exacerbate the symptoms of chronic fatigue. It is important that the patient discuss his/her symptoms with the doctor. It is also important that doctors know what other medications the patient is taking since some medications can exaggerate the symptoms of CFS. Recovery rates from chronic fatigue syndrome are varied. In a 2005 review of published studies on CFS, it was revealed that improvement rates varied from 8% to 63% with 40% of the patients improving during follow-up.